Choose the Liquid Lounge as your function venue. Get a quote. Or call 016 982 3411. 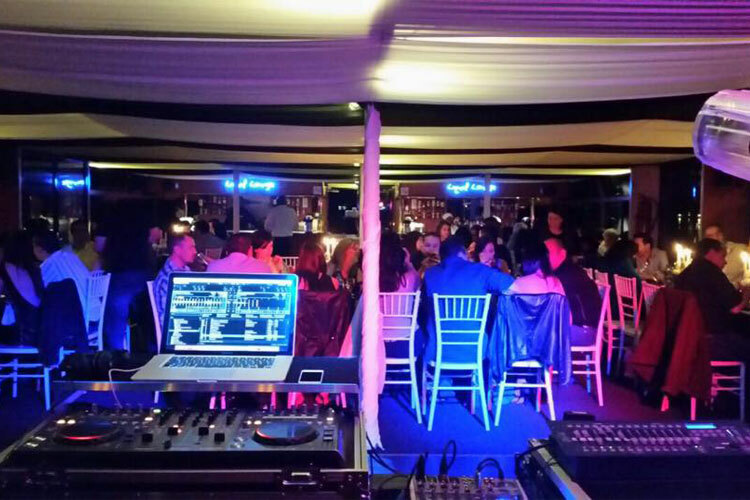 If you are in search of a spectacular Vaal function venue, give the Liquid Lounge a call. The beautiful and immaculate Vaal River presents so many opportunities for the local community, including hosting functions and events while enjoying the serene atmosphere this river offers. This beautiful stretch of the Vaal River has brings many tourists to the Vaal for fishing, boating and other fun activities. The Liquid Lounge ads to this list by providing the opportunity to host parties and functions aboard our luxurious vessel whilst cruising down the beautiful river. This function venue in the Vaal Triangle is truly a unique and special choice when it comes to hosting your functions. Guests will be treated to a memorable day out to enjoy the fresh air, beautiful surrounds and tranquillity the Vaal River has to offer. The boat can accommodate up to a hundred and twenty people and boasts excellent facilities and features for guests’ use during the cruise. 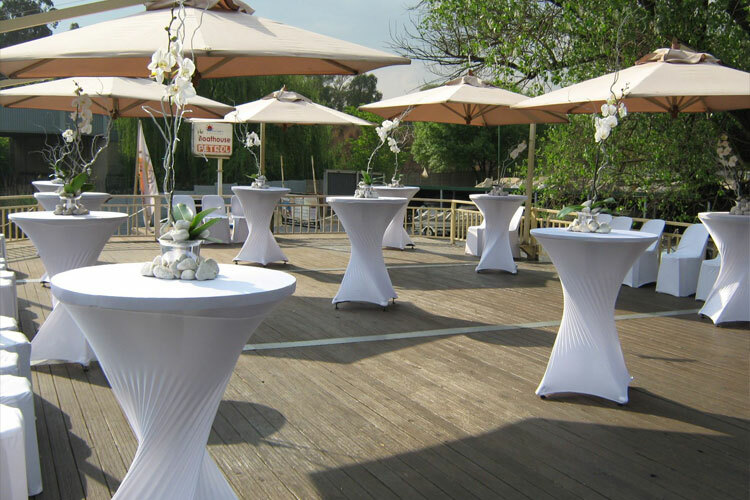 With a lounging space, a dance floor and a bar that is fully stocked, it is a great place to come and enjoy the beauty and tranquillity of the Vaal River, during your function or event. Let loose while you float on the calm surface of the river, while our professional staff members attend to your food and beverage needs. 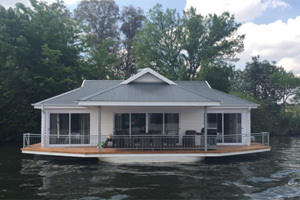 Whether you are joining a function, or attending a Sunday Lunch, you will receive excellent levels of service aboard this Vaal River function venue in the Vaal Triangle. The Liquid Lounge is ideal for hosting corporate events, social events and weddings. 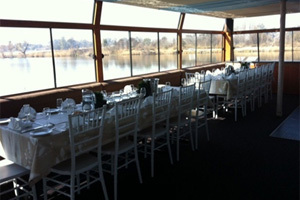 When it comes to corporate events and weddings, our facilities aboard this Vaal River function venue will exceed you expectations. 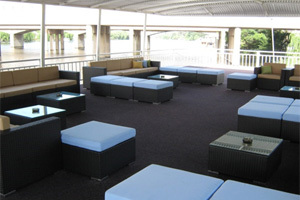 The Liquid Lounge features an upper and lower deck for different needs. Choose from different styles and setup including sit down or cocktail style, to suit your function needs. You and your guests will enjoy refreshing drinks, as well as deliciously prepared food. 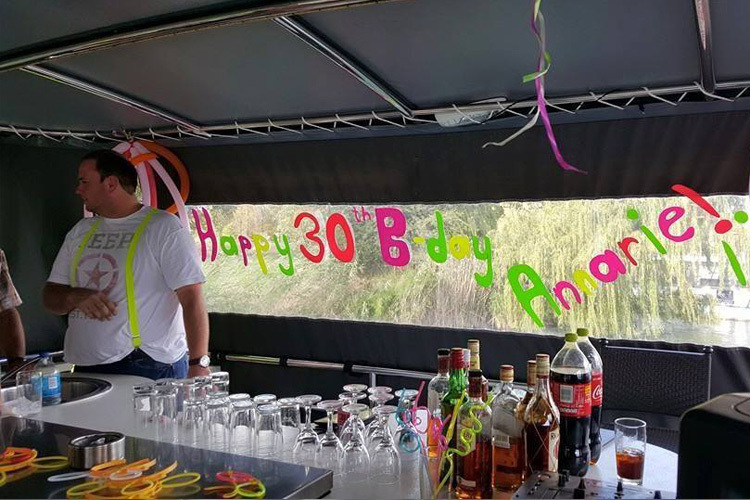 Our trained staff members will ensure that you have everything you need during your spectacular river cruise on the Vaal function venue. 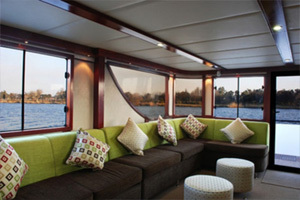 The upper sundeck of the river cruiser provides a lovely atmosphere for guests to enjoy each other’s company, while sipping on refreshing drinks and taking in the tranquillity of the Vaal River and its surrounds. We guarantee that you will enjoy your time aboard the Liquid Lounge, whether it is for corporate function, wedding, party or just a Sunday lunch with family and friends. Contact the Liquid Lounge today for more information about our Vaal River function venue based in the Vaal Triangle.